Adam, who has withheld his “old” surname now identifies as a Filipino called Ja Du. 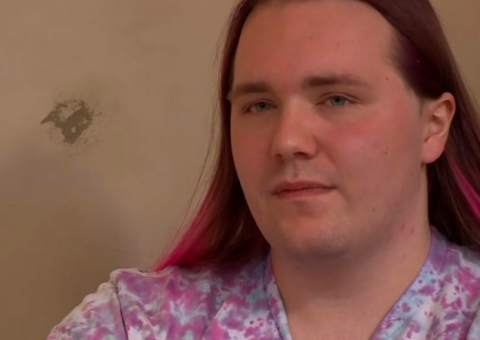 A white man from Florida says he now “identifies” as a Filipino, part of a growing movement of people who describe themselves as transracial. The Tampa resident, whose birth name was Adam, now goes by the name of Ja Du. He is also expressing his new identity by driving a small hot-pink three-wheeled vehicle that he describes as a “typical Filipino tuk-tuk”. Adam — sorry Ja Du — says he has always had a natural affinity with Filipino culture. “Whenever I’m around the music, around the food, I feel like I’m in my own skin,” he said. The notion of somebody identifying as another race hit the headlines with the case of Rachel Dolezal. Although she was born white, she ‘identified’ as black and altered her hair and skin tone accordingly. She was even the president of a chapter of the NAACP in Spokane, Washington. Since her story first came to light, a growing number of people have followed suit — as a search of Facebook soon makes clear. To complicate matters further, Ad… Ja Du also identifies as a transexual. Whereas he hasn’t yet told his family about his Filipino identity, he has told them that he is considering changing his gender. He fears they will laugh at his transracial identity, leading him to withhold his surname. Interviewing Ja Du for WTSP, journalist Garin Flowers raised the possibility that transracial people could take unfair advantage of their new ethnicity. His question came after a Google search threw up numerous college scholarships exclusively available to Filipinos. He answered: “I believe people will take advantage just like other people have taken advantage of their identity. But the difference between me and them, Garin, is that I don’t want that. This is a result of far left progressive education, what with “white privilege” and “white guilt” does it surprise anyone that a white male would feel uncomfortable in his skin? This is also a mental health issue, it’s clear that progressivism is taking a toll on the collective psyche of America! It’s also “cultural appropriation” as the far left likes to call it. Transgenders have the highest suicide rate of any group, this is clearly a mental health issue and hopefully nobody sells this man a firearm! The sooner this far left mentality recedes the sooner our country can begin to heal. If a person can pick their race, I can choose to be a Ham Sandwich. Please like and share the “I’m a Ham Sandwich” page.